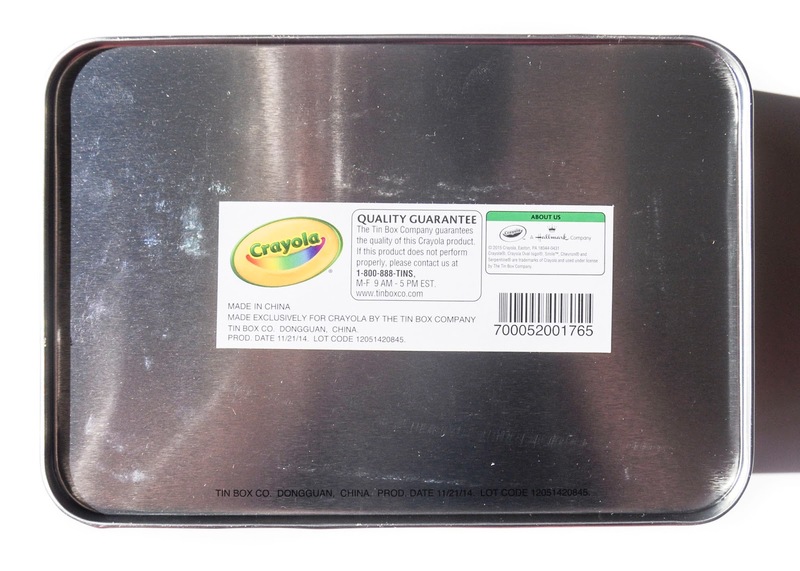 Crayola has been making tins with the The Box Company for years. They are very good quality and fun patterns. 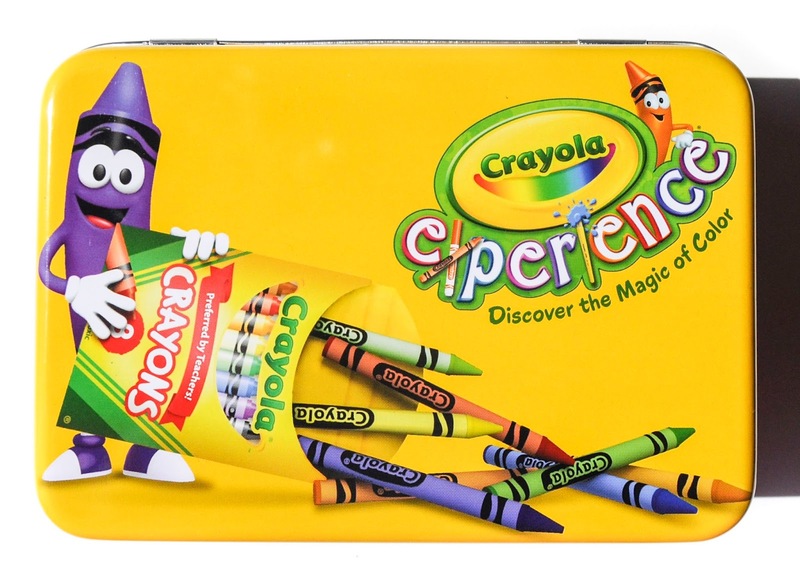 This tin features the Crayola Experience logo "Discover the Magic of Color" and Purple and Orange crayons on the cover. For some reason the Crayola Experience Tins were around 18 dollars at the Crayola Store in Kansas City. I remember paying around that at the Crayola Experience in Easton, Pennsylvania for a tin filled with crayons. But that seemed really steep to me for a tin without crayons, especially since some of the tins were selling at Target for 3 dollars. I was so excited my husband bought it for me. I love the tins. 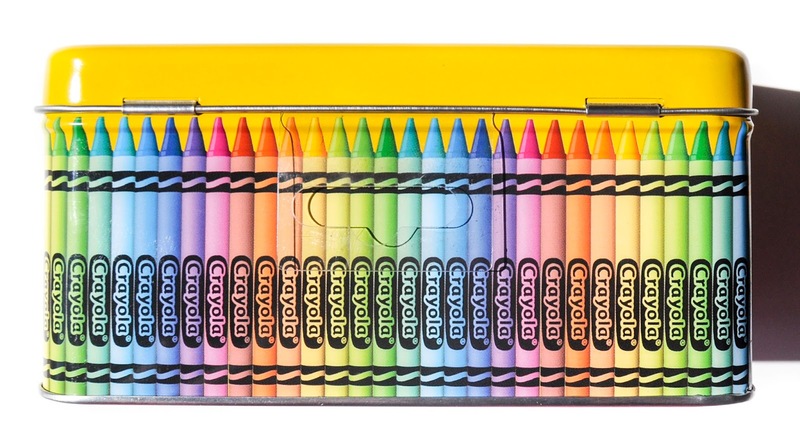 Even though Crayola does not make these they are collectible, because Crayola has been making tins for years. 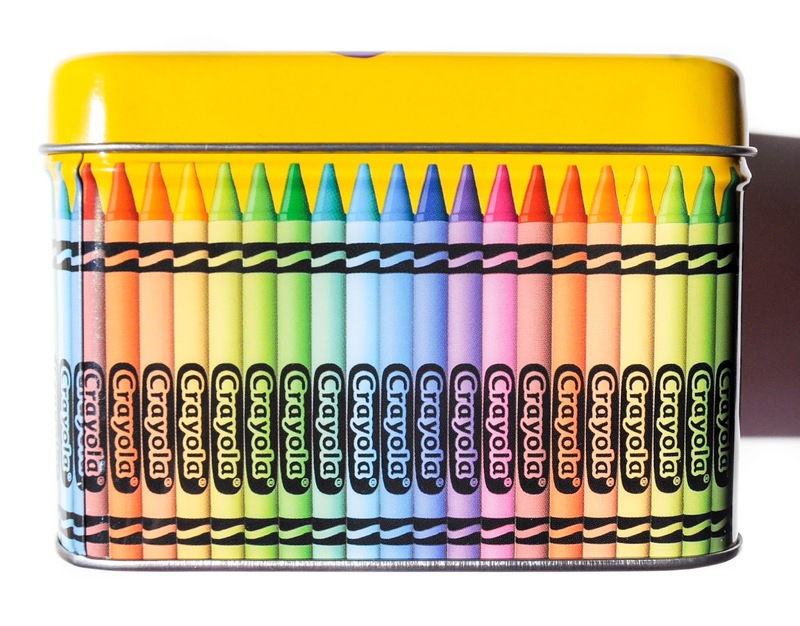 Other boxes: There are many other storage tins, Crayola has been making these for years.